Webinar and Lunch are FREE! St. Luke's Lutheran Church is pleased to host the ALDE webinar as a gathering for the Gulf of Mexico/Caribbean Chapter. Please join us to learn and connect! Questions? Email Nikki at [email protected]. 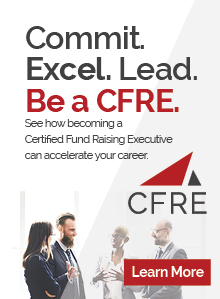 Are you looking for new, innovative ways to connect your donors to the meaningful work they accomplish? (Your answer should be yes!) Then this webinar is for you! Discover the many creative ways organizations are demonstrating to donors how their gifts are being used to make a difference in the world. We will look at very broad strategies such as newsletters and communications tools, to more targeted methods that involve mid-level and major donor strategies. You will come away from this session energized to apply new ideas in your own shop! Can't attend in Oviedo? 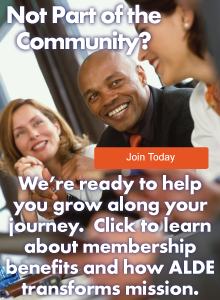 Click to attend on your own and connect your donors to your mission - webinars cost $75. See what's coming up in the rest of the 2015-2016 webinar season. 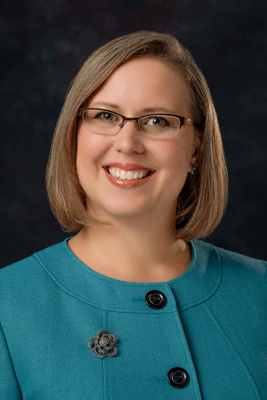 Kristen Egan, CFRE, has worked for Meyer Partners since 1999. In her role as Vice President, Kristen directly supports her clients in the creation, execution and analysis of their direct mail, marketing and online efforts. Prior to joining Meyer Partners, her experience encompassed management of the annual fund; fundraising and donor recognition events; capital campaign management; grant proposal writing and membership programs. Kristen has been an active ALDE member since 2001. She also serves on the Board of Trustees of Holy Family Ministries in Chicago, Illinois, and is an active member of the Association of Fundraising Professionals.